Following up our previous post on the use of Chamomile as a natural teething remedy (the key ingredient in teething granules and powders), we have took it a step further and combined two teething remedies in one. 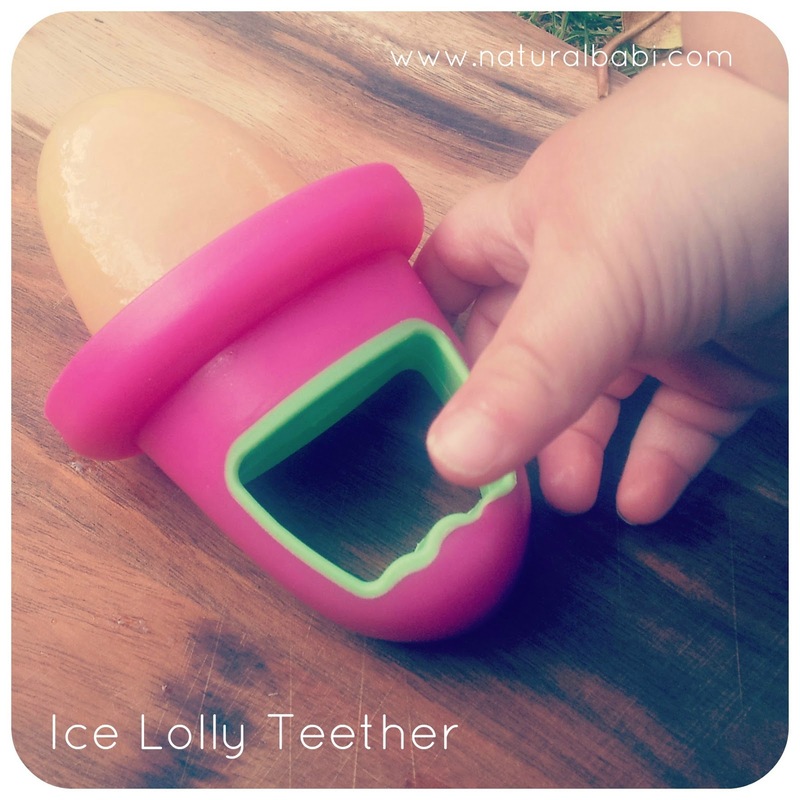 A frozen teething treat for toddlers, made from frozen chamomile tea! These are a mix of chamomile tea and almond milk, see our Natural Teething Remedy post for more combination ideas and information on using chamomile as a teething remedy. They have simply been froze in NUK ice lolly moulds, perfects for little hand to hold on to with rubber inside the handle. But you could try a DIY version with washed out little yoghurt pots filled with chamomile tea and ice lolly sticks or small baby spoons placed inside as a handle. Pop in the freezer and you have a stash ready for when teething troubles arise.